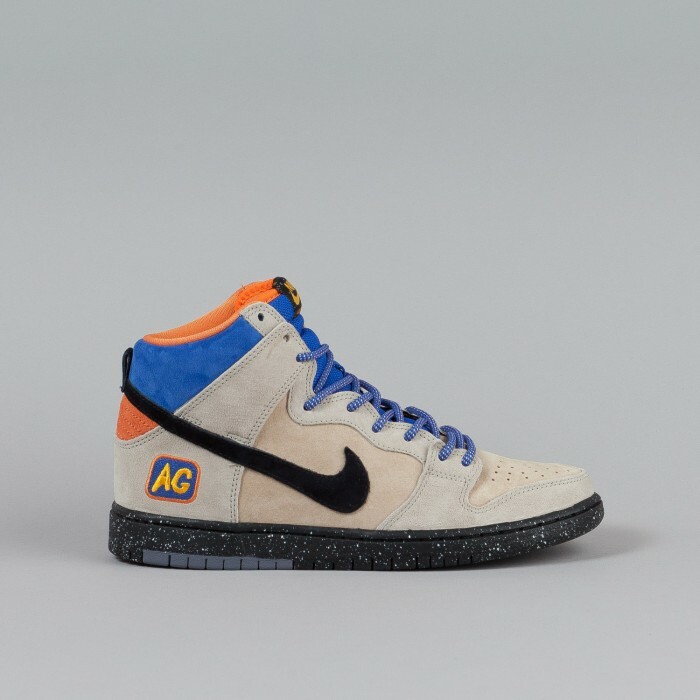 Nike SB have teamed up with New York street wear brand Acapulco Gold to bring you this limited edition Quckstrike release. 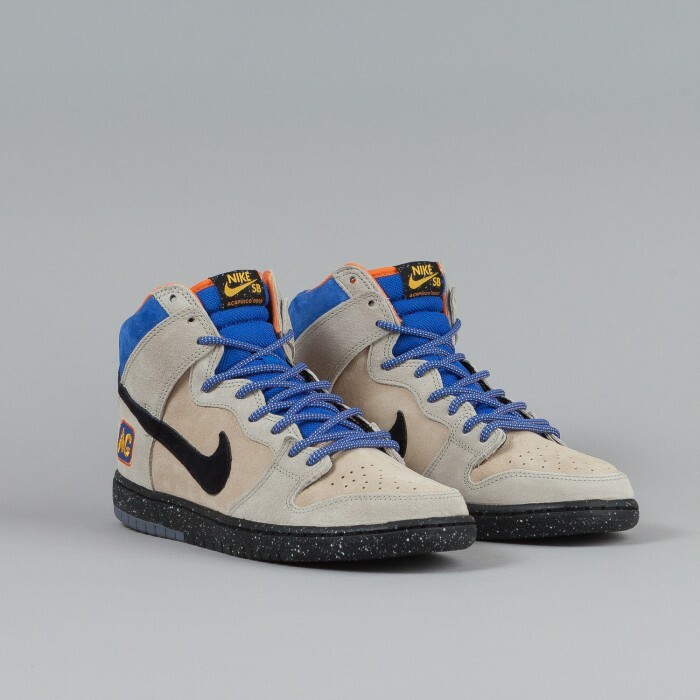 The Acapulco Gold x Nike SB Dunk High Premium “Mowabb” is based on the colour way of the highly acclaimed original model. 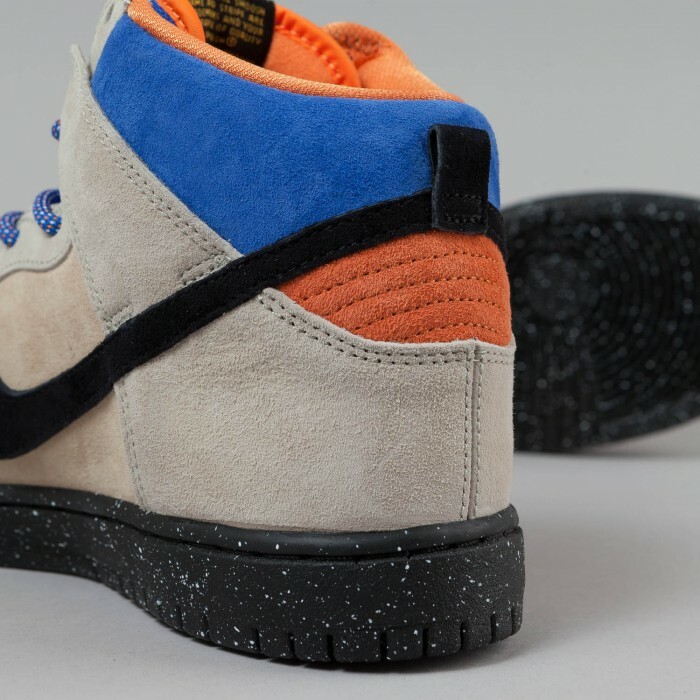 The upper is in Grain coloured premium suede sat on a distinct black “splattered” sole. Set off by Blue and Bright Mandarin highlights and inner with Nike’s unmissable swoosh in strong Black. 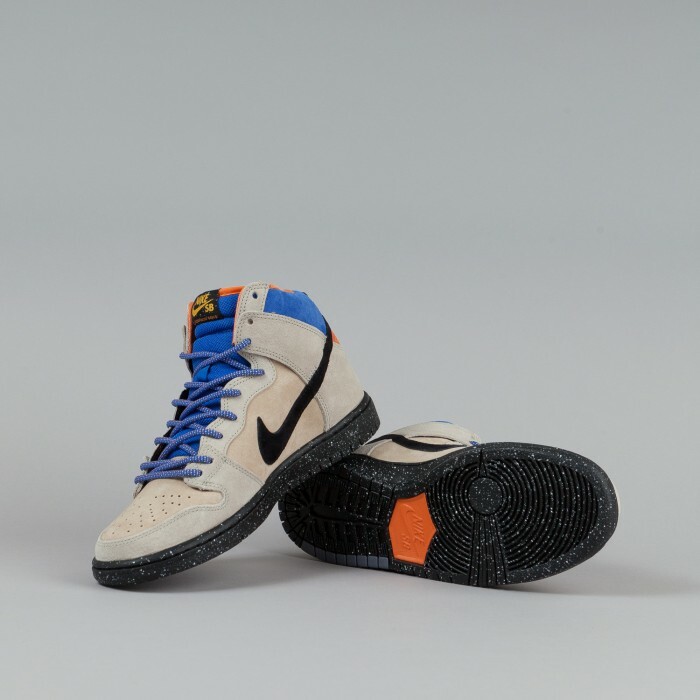 A direct influence can be seen from Nike’s ACG line in the unique flecked chord laces. Acapulco Gold’s “AG’ emblem is embroidered on the heal to finish off. A distinct and not to be missed release.